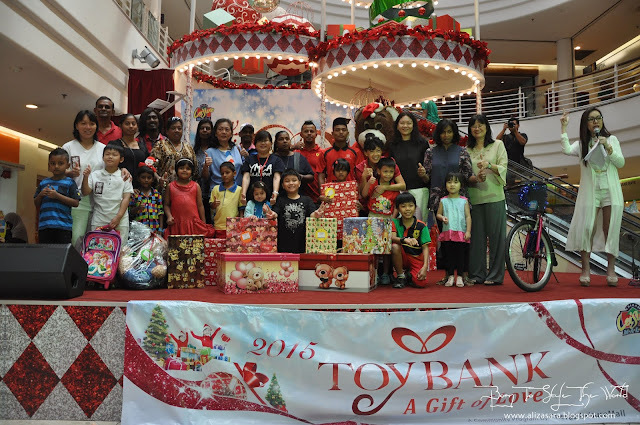 On the 29th of December 2015, Cheras Leisure Mall continues their annual CSR initiative by having the Toy Bank Programme! 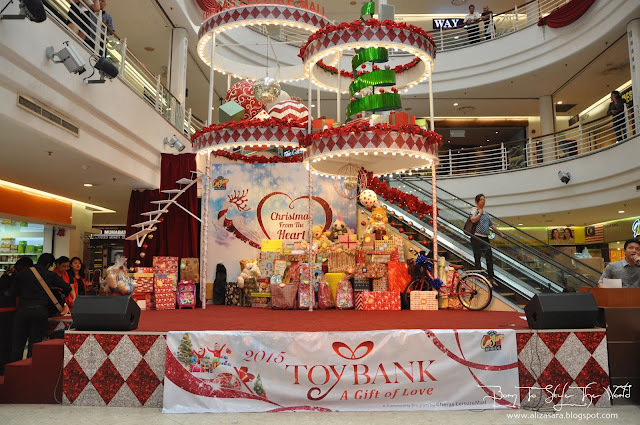 If you haven't heard about the Toy Bank, a Gift of Love Programme, its actually a bank of toys for underprivileged children. 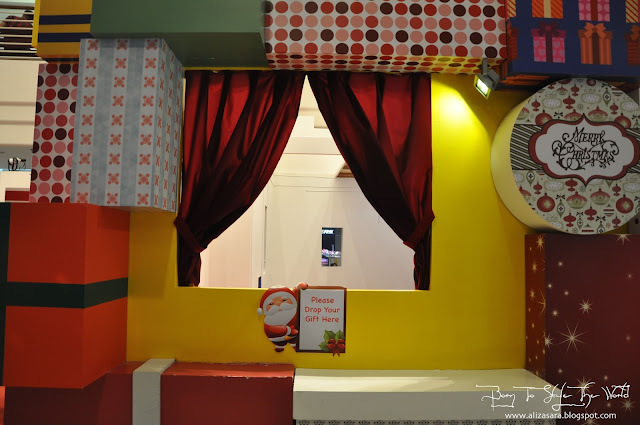 I managed to checked the Toy Bank out, and it looks like a secret santa sleigh located in Cheras Leisure Mall itself to make chritsmas dreams come true! Toy Bank, A Gift of Love. Some of the wishes by kids from the selected homes. The Toy Bank has been set up at the Ground Floor Concourse since 4th December 2015 to collect gifts for the participating children homes and charity houses. It was really interesting as it had an amazing sculpture of santa's two flying reindeers to make christmas dreams come true for over 400 children from 13 children homes and charity houses through the mall's annual community programme. To be part of this meaningful cause, wiling parties can first pick a card from the wishing tree, select a toy or gift from childs wish list and then deposit the gift together with the wish card at the Toy Bank. 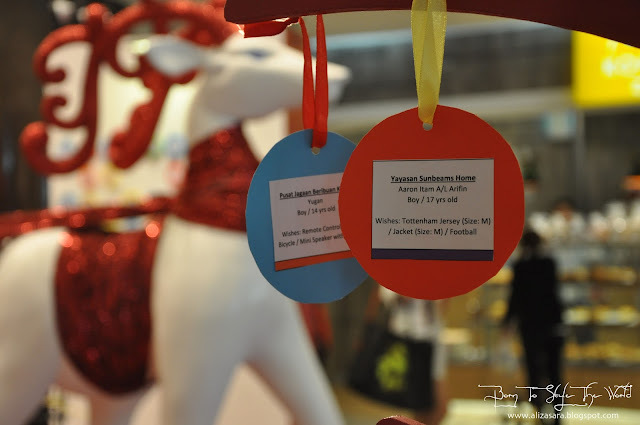 And after weeks of support by Cheras Leisure Mall shoppers, they have managed to make dreams come true! So what makes today really special would be the Toy Bank, A Gift of Love Gift Presentation Ceremony where the kids from 13 homes will be receiving their presents that they've been asking from santa. 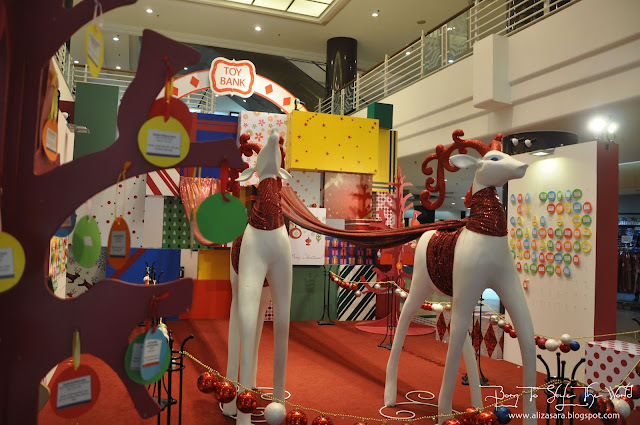 Since 1999, the Toy Bank, A gift of Love programme has become an anticipated event for the shoppers to express their care and concern for the underprivileged children. This would not be a successful event without the loyal shoppers of Cheras Leisure Mall and members of the public for their generous support towards the Toy Bank programme. 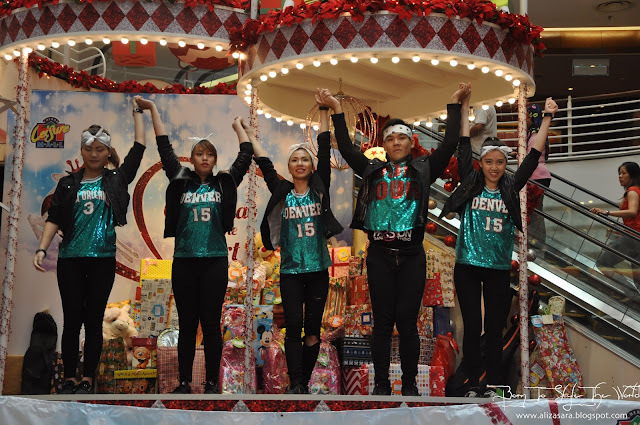 They have managed to collect about 2,700 gifts throughout the programme period from 4th to the 27th of December 2015. 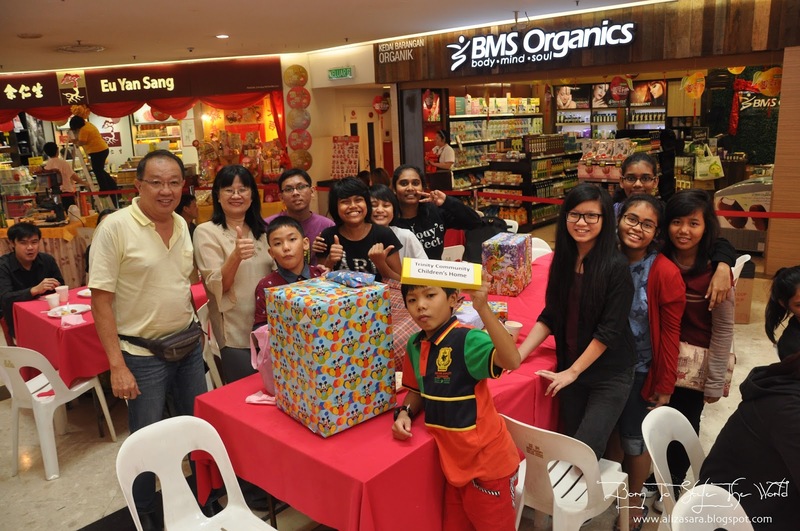 And thats not all, shoppers also donated household necessity items such as rice, cooking oil, toiletries and more! 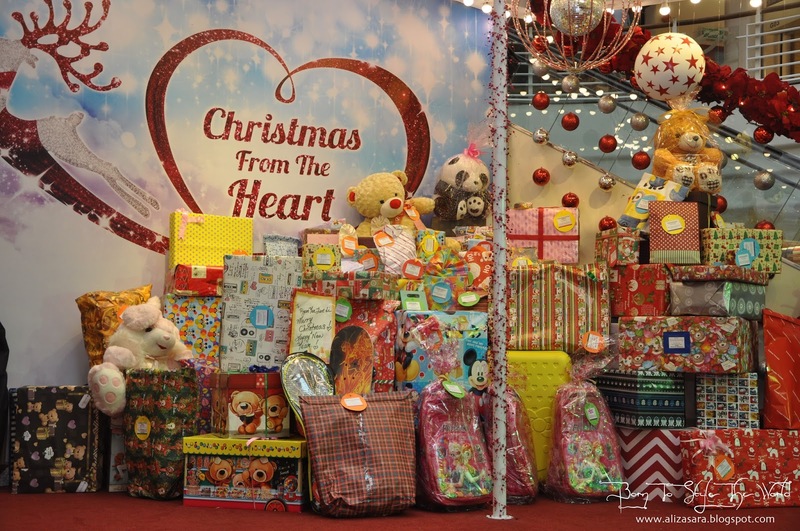 The participating children homes and charity houses of this years Toy Bank, A Gift of Love programme includes Shepherd's Centre Foundation, Trinity Community Childrens home, Persatuan Kebajikan Warga Tua dan Kanak-Kanak WP, Pusat Jagaan Beribuan Kasih, Bodhi Homecare Cheras, San Pedro Orphanage Home, Rumah Sayangan, Rumah Kanak-kanak Angels, Persatuan Kebajikan Kanak-Kanak Cornerstone, Yayasan Sunbeams home, Rainbow Home, Rumah Bakti Nur Syaheera and Pusat Majudiri Y for the Deaf. 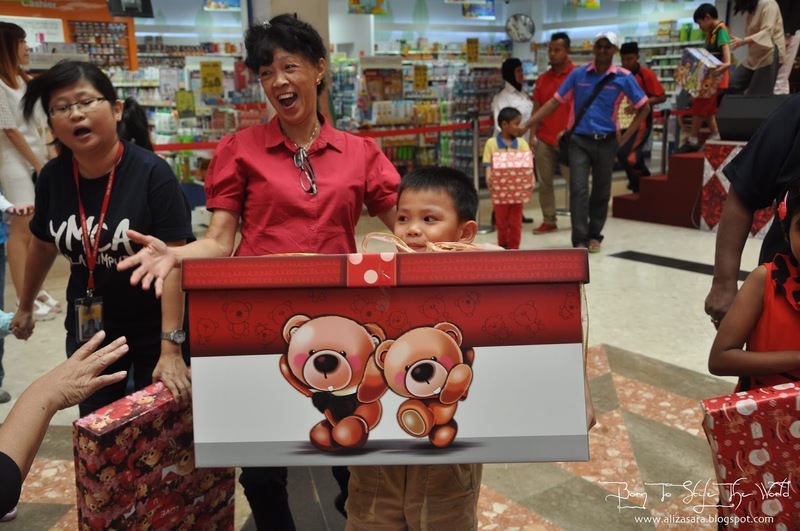 165 children from the participating children's homes were invited to have a memorable Christmas celebration at Cheras Leisure Mall and received gifts sent by anonymous shoppers. The kids present were treated with an enjoyable day out with a line-up of interesting activities such as a special movie screening by Golden Screen Cinemas - Legend of a Rabbit: The Martial of Fire, delicious lunch, caroling performance, dance performances and a hoverboard dance workshop. Seeing the smiles on their faces was absolutely priceless! Personally these are the best things about Chritsmas. 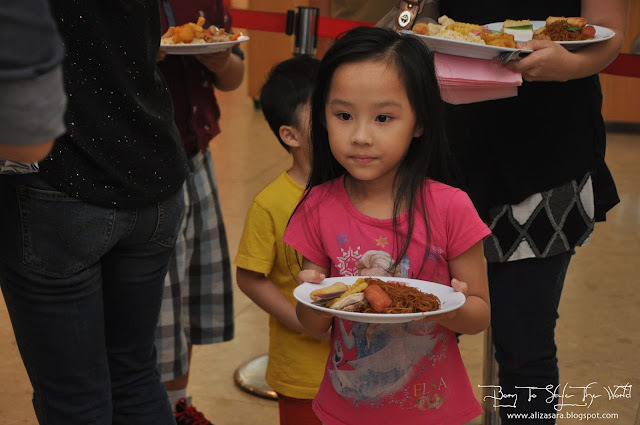 Sharing the love with everyone, and Cheras LeisureMall has successfully connected people to areas of need in society effortlessly. For more information on the Toy Bank, A gift of Love programme, and more upcoming events, do visit Cheras LeisureMall's Facebook Page. MCC a.k.a My Cherie Closet, has finally launched their first flagship store in One Utama Malaysia! 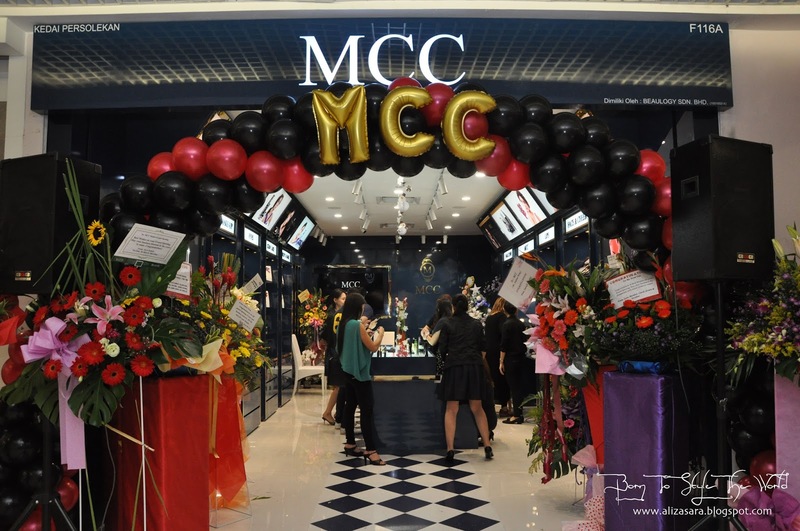 And if you havent heard about MCC before, well, its about time you read up on what they have for you in stores! With directors and celebrity guest present at the launch, theres no doubt that this will be a big hit in Malaysia. Even passerby's were more than curious to find out on what MCC is all about. 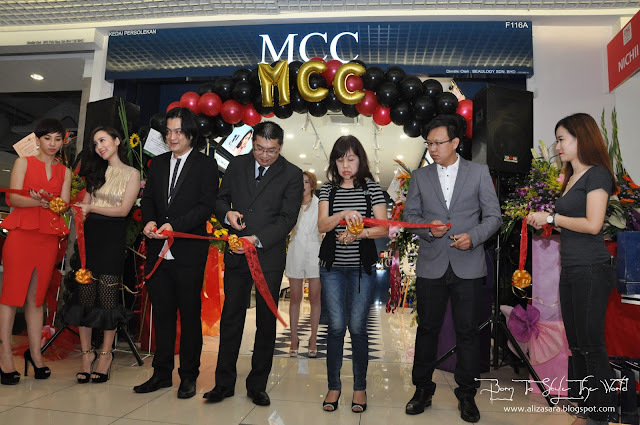 Ribbons were cut as a symbolic message that MCC has finally launched their first store to the public, and even i couldnt resist to get a little hands on in the store. 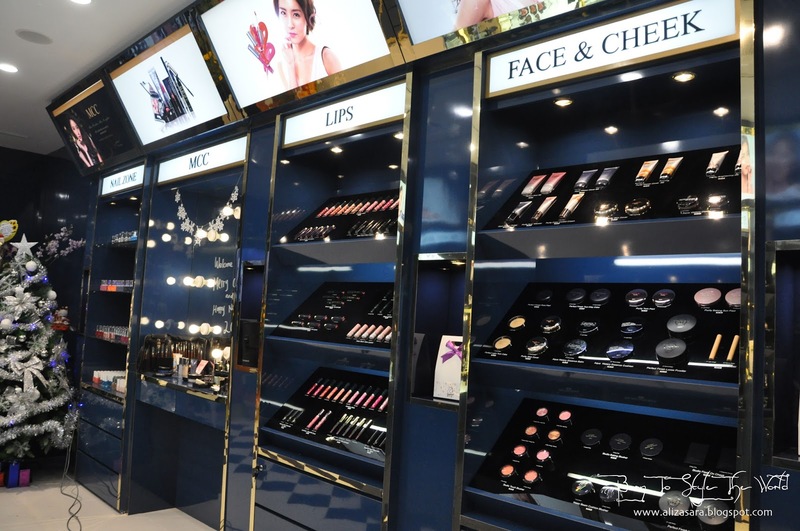 But before could get ourselves to the store, we had a little demonstration by a professional make up artist showing off to the audience on how to use the product. As you can see, this cosmetic doesnt limit to only women, but is also designed to be suitable for men as well. 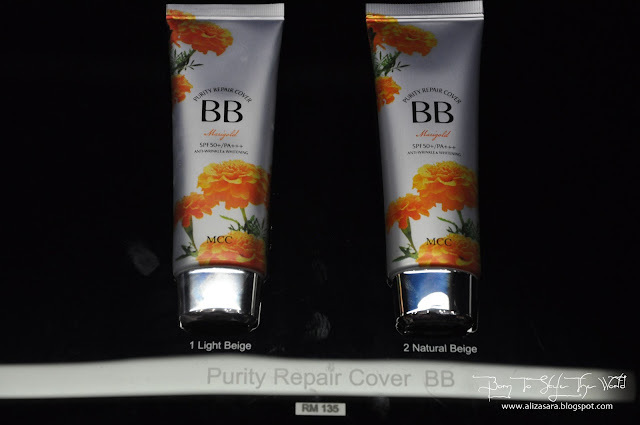 When a man came up as a model, that really got heads turning, while the make up artist, lightly applies one of their best seller, the Purity Repair Cover BB cream. Another woman came up as the model, and this time, the make up artist was explaining to the audience about the special features of the CC cushion. Unlikely like your usual cushion compacts, this has an airtight lock system to ensure that the liquid in the cc cushion would last longer than it should. But, overall, the highlight of the day was their No. 1 best seller, lip tint. 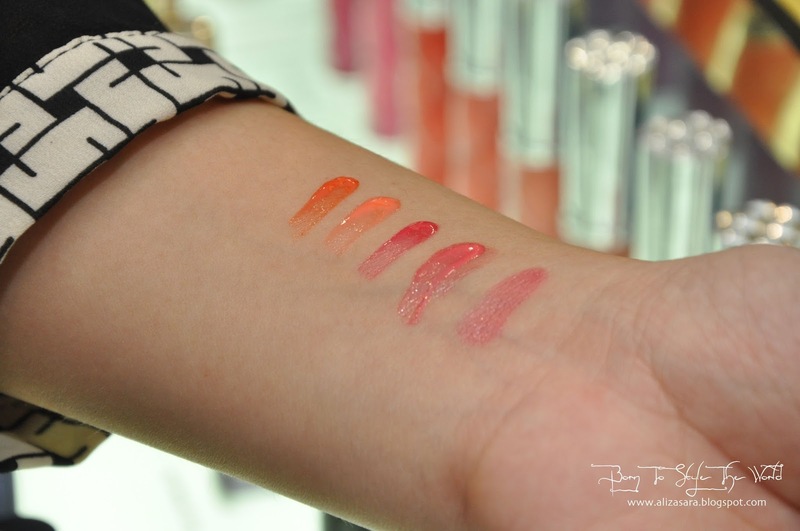 Upon application, you can tell that its really pigmented. I gave it a few swatches, and its definitely different that the usual liquid tint. This actually had a glossy texture, to keep your lips looking moisted and shiny. 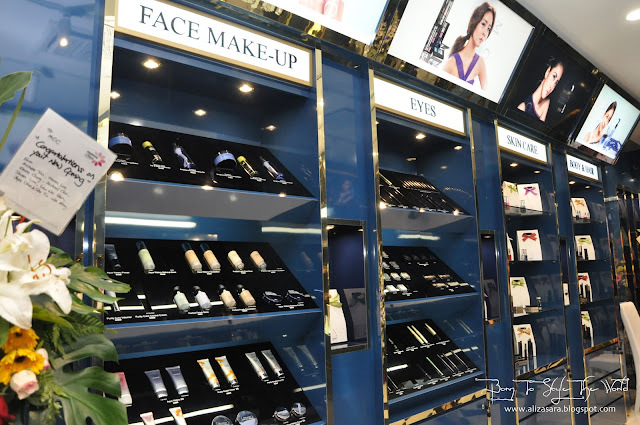 They also had tons of other cosmetic products as well, with a really big variety of choices to choose from. The shop wasnt as grand, but boy they had a lot of cosmetics to choose from. The secret is out! 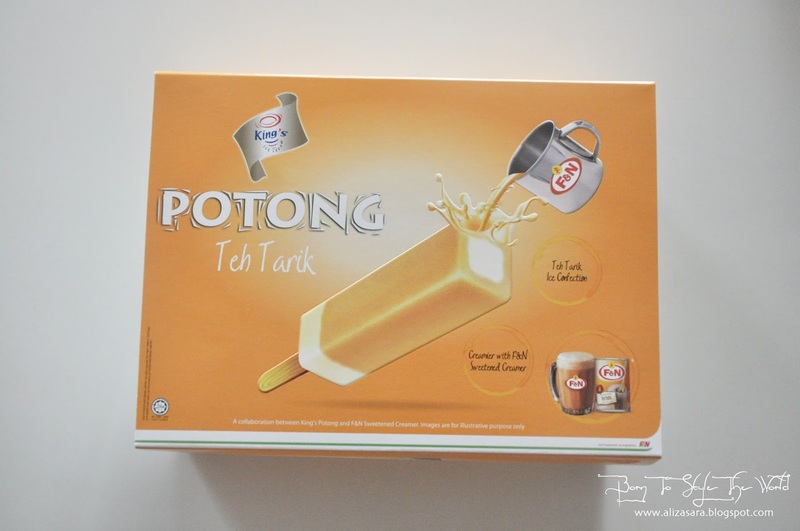 If youre a true Malaysian, you would definitely find King’s potong a familiar nostalgic treat which usually never fails to keep us cool on a hot sunny day. 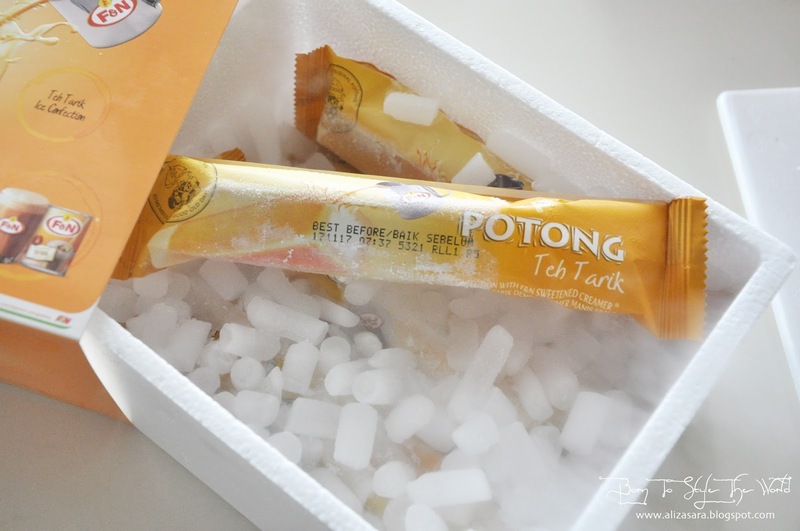 The ‘potong’ ice cream today has something exciting coming, to satisfy your nostalgic classic cravings, so be sure to read more about it. King’s decided to preserve the Malaysian food culture and at the same time ensure that Malaysians get to enjoy their favourite dessert in the form of ice cream potong. Previously, they had flavours like Red Bean, Back Glutinous Rice, Durian, Cempedak and Yam, which are usually homemade flavor with real coconut milk. And now, they are proud to present to you the King’s Potong Teh Tarik! Perfect for a hot sunny day. Malaysia would be incomplete without the good old Teh Tarik. And personally, I found this exciting since they decided to collaborate with F&N by adding in F&N's Sweetened Creamer. YUM! This particular Potong featuring the Teh Tarik variant features F&N’s original recipe, which includes 2.5g of tea dust and two tablespoons of F&N Sweetened Creamer to maintain the authentic taste of a cup of The Tarik. 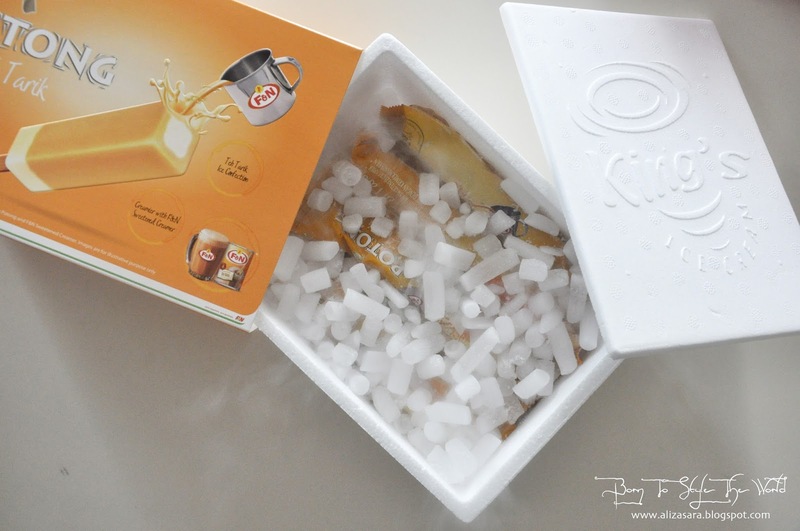 And now, thanks to King’s, they have made it possible to enjoy Teh Tarik in a different way. We would usually have a phase saying “Jom minum The Tarik” but now, it can be enjoyed anywhere, anytime at your convenience! The Kings Potong is available in a multipack (6x60ml) which retails at RM6.95 per pack, while the loose sticks (60ml) retails at RM1.30 per piece (inclusive of 6% GST). The King’s Potong comes in various flavours and are available at all leading hypermarkets, supermarkets, and even your nearest grocery outlets! 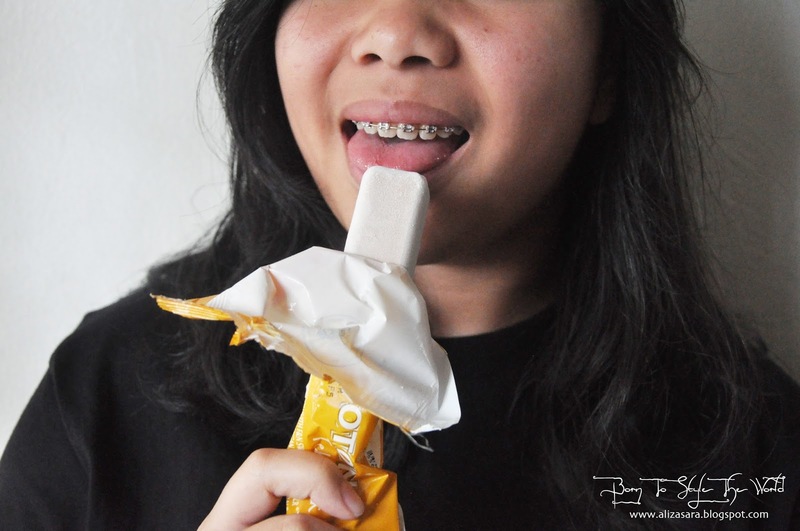 Be sure to not miss out on the fun and enjoy your King’s Teh Tarik potong today! For more information, be sure to visit their Official Website at www.fnncreameries.com for more details. Beauty geeks, I bring you great news! 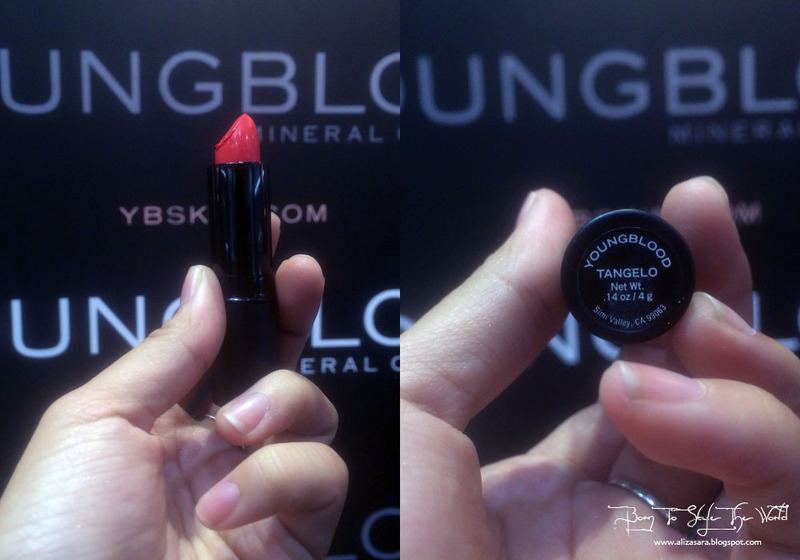 If youre all in for high end fashion, and high end cosmetics, you will definitely love this! 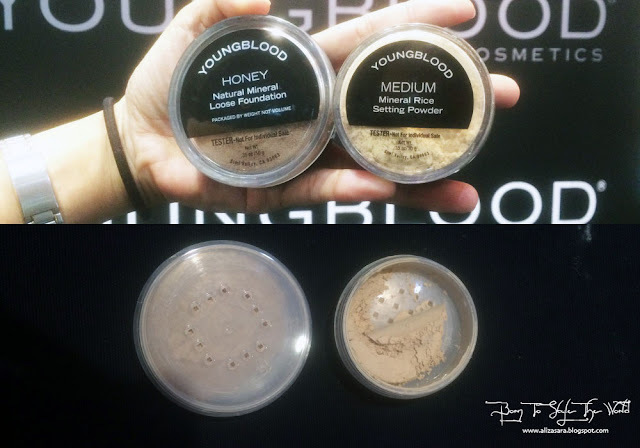 Recently, I was invited to a very special intimate make-over to try out Young Blood Mineral Cosmetics, which was founded by paramedical aesthetician, Pauline Youngblood in 1996 in California. 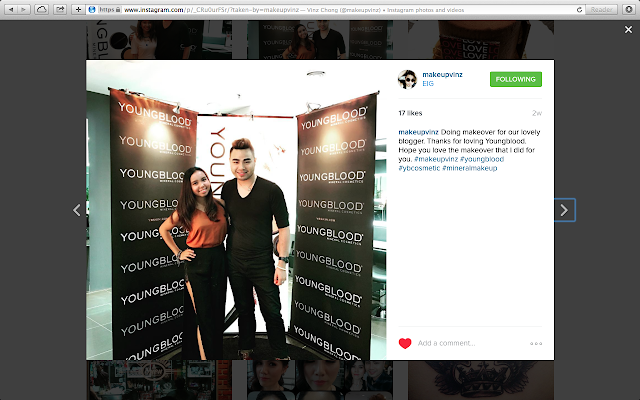 If its your first time hearing about Young Blood, its only because they were initially used during fashion shows backstage. And now, they have made it possible for beauty geeks to walk out of home, looking like youre runway ready. YAY! 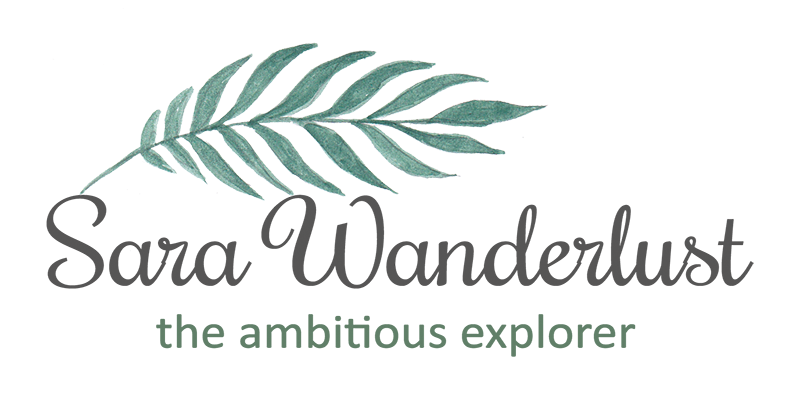 Considering that it’s a premier luxury mineral cosmetic, it features natural, finely ground minerals from the earth, without containing common irritants like chemical, dyes, and preservatives being found in conventional makeup. The products contains signature blends of minerals which includes Malachite, Rhoedolite, Hematite and Zincite to help skin cells and tissue. You got that right, it protects, and heals your skin while you look fabulous. Other than allowing skin to heal and breathe, its also extremely gentle to all skin types and condition. This also includes skin recovering from laser or chemical peels or experiencing rosacea, acne or discoloration. How is this possible? Well, The CEO of Youngblood, Pauline Youngblood had a passion to design products in a medical setting for her patients recovering from harsh medical procedures. And apparently her patients experienced dramatic success that it has healed skin, which urged her to make it commercially available. HOW TO ACHIEVE A GLAM LOOK? So what do you think of the final outcome? If you ask me, i love how it looks, and it was a bonus that it felt as if i wasnt wearing any cosmetics on my face. MAJOR LOVE! 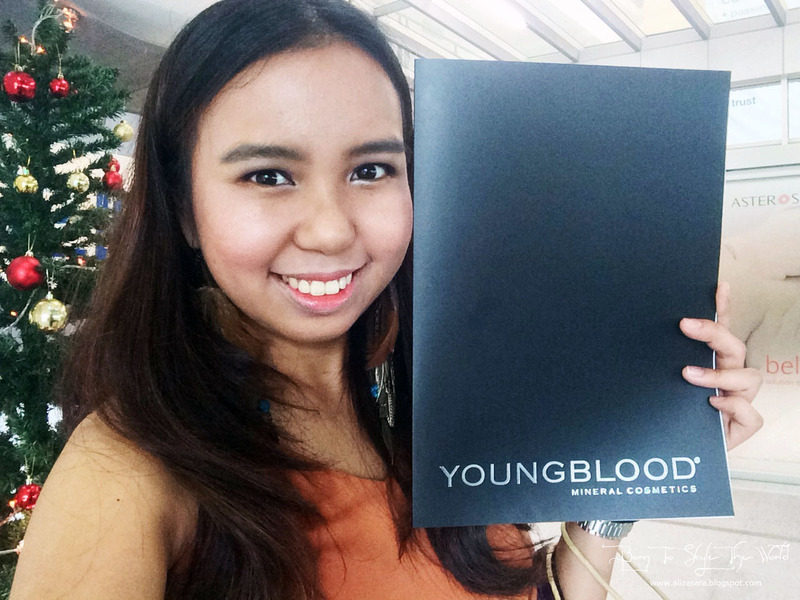 From a first impression, i realized that Young Blood had an amazing award achievement in Female magazine, Womens weekly and more! Excited to know more and why has this brand is so exclusive, and also to get my make-over done. 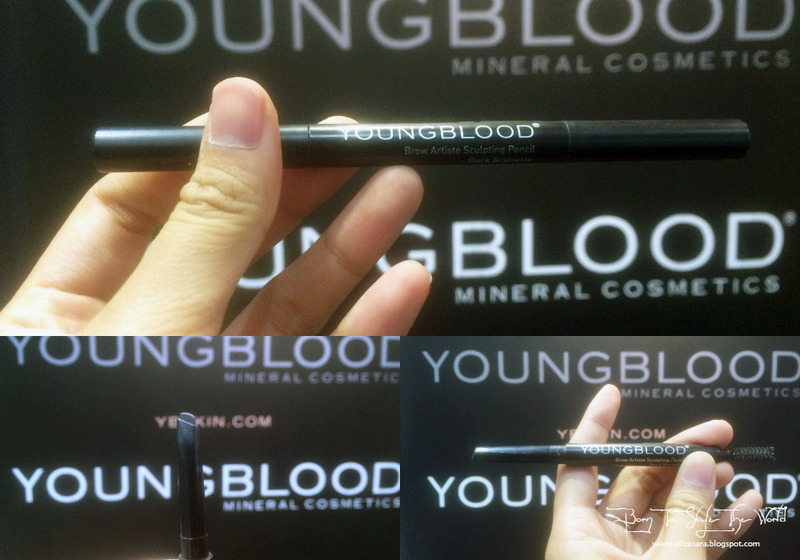 First up, is their Beauty Award Winner, Young Blood Mineral Primer. I had a swatch on my hand to get a feel of the texture, and I have to say that it felt light and silky on my skin, leaving a very natural finish. 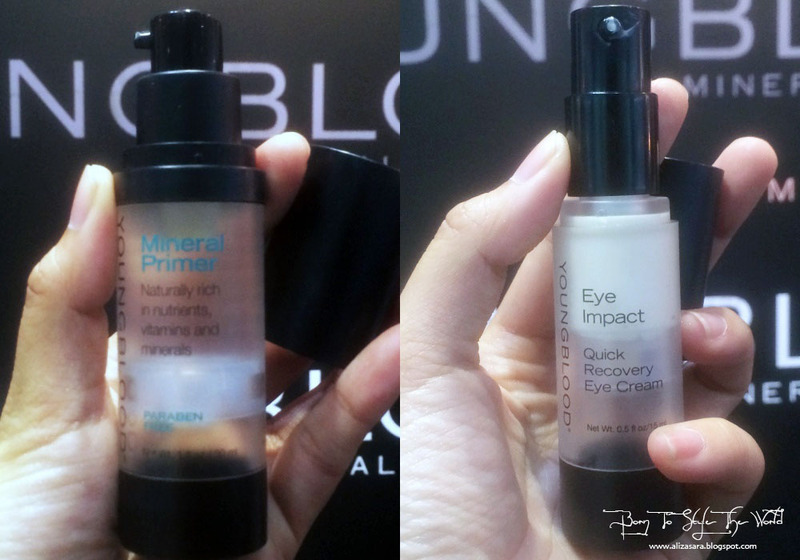 The Mineral Primer helps enhance the performance of makeup throughout the day while the Eye Impact Quick Recovery Eye Cream reduces signs of fatigue for fresher looking eyes. From the photo, you can tell that I’ll look like a clown walking around with SUCH pink cheeks. But this happens to be one of the most pretties shades i've applied on my face. The secret to applying this would be to apply it before you apply foundation. This leaves a natural blush on your face. The Luminous Creme Blush in Rose Quartz is oil free and the colour is long lasting while it gives you extra vibrancy. 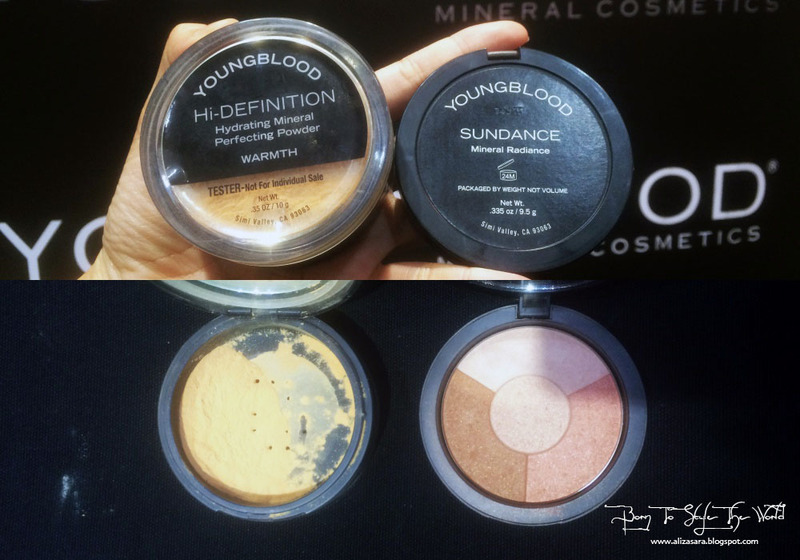 From Left: Loose Mineral Foundation, Loose Mineral Setting Powder. 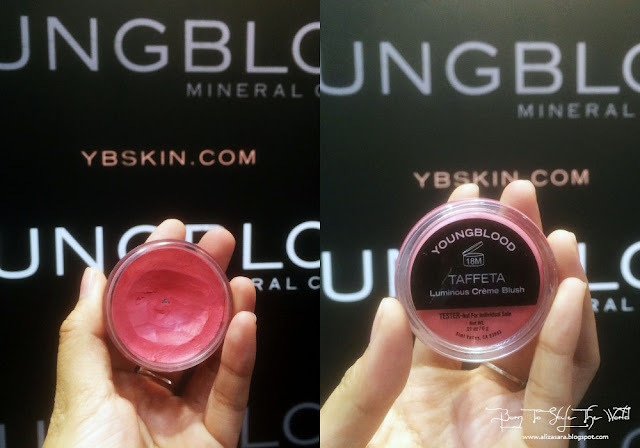 After applying blusher, they applied the Youngblood Loose Mineral Foundation. 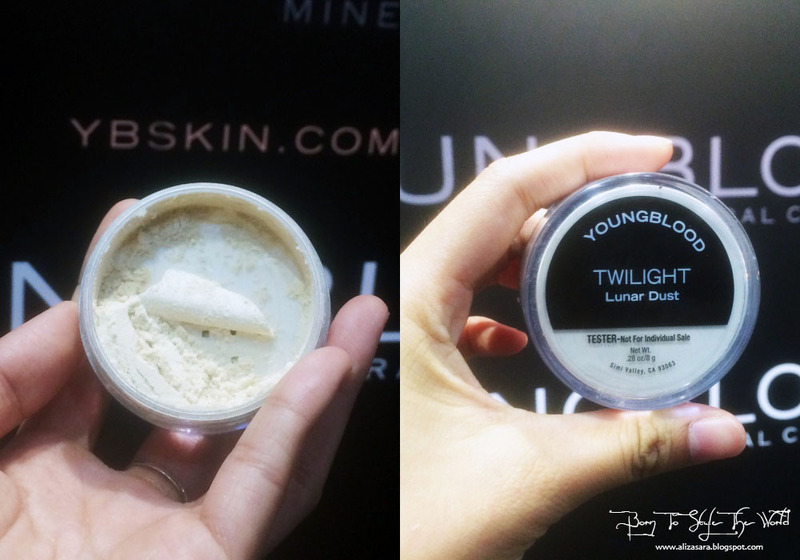 With ultra fine powder, I was amazed that it conceals and also acts as a foundation! To make it simple, foundation never felt so loose and light. Application was incredibly smooth and the coverage was buildable while it leaves a soft radiant finish. Its no wonder it won Best Mineral Powder in the Beauty Choice award in USA last year. 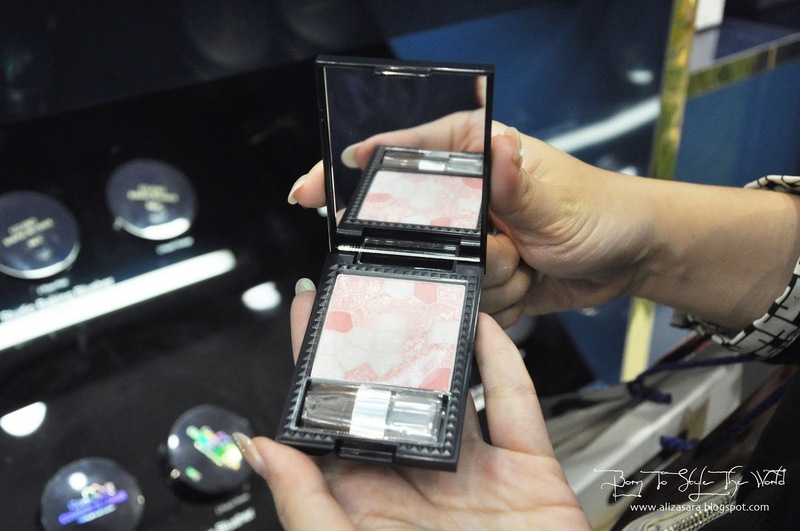 Then Vince added the Loose Mineral Setting powder which created a flawless matte finish which i fell in love instantly. 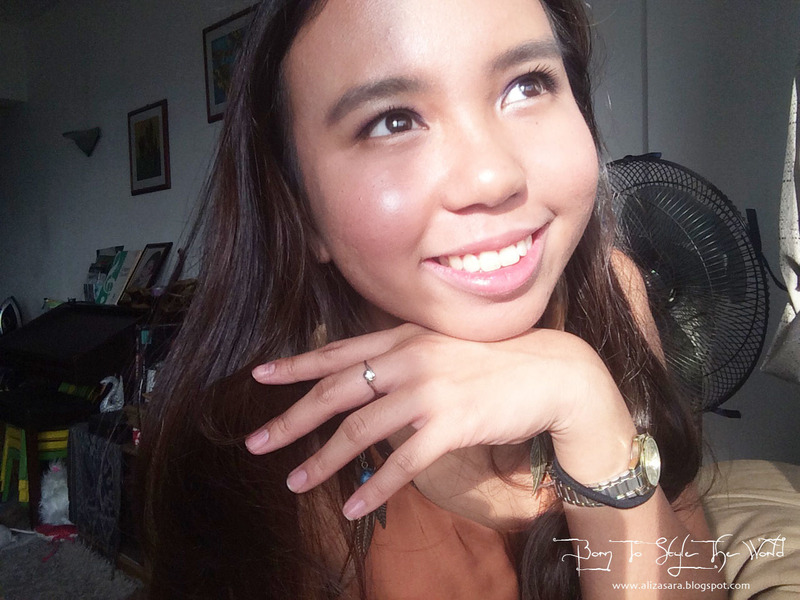 The Hi-Definition Hydrating Mineral Perfecting Powder was then applied, which i was told that it absorbs excess oil to make sure you dont look too shiny as the day ends. 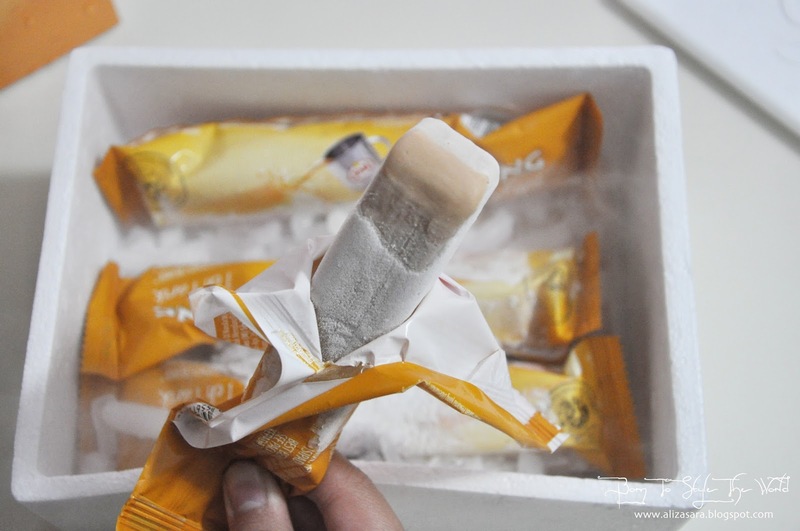 It left a super fine texture which is very cooling and light. I have to say that i was instantly tempted to get the Mineral Radiance for myself because of the shades available in one bronzer. Perfect for blush, highlighting and contouring. Can you believe that my eyeshadow was all from the Gel Liner? 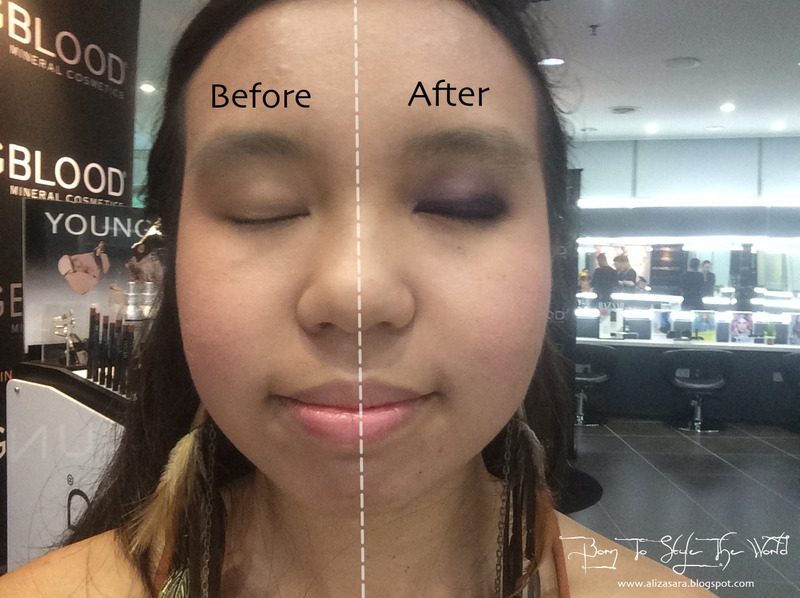 When Vince applied the Incredible Wear Gel Liner around my eyes, i was amazed by what it can do. He actually turned the Gel liner into my eye shadow AND eyeliner. Talk about 2 in 1, this saves you the time and money if you love going glam. 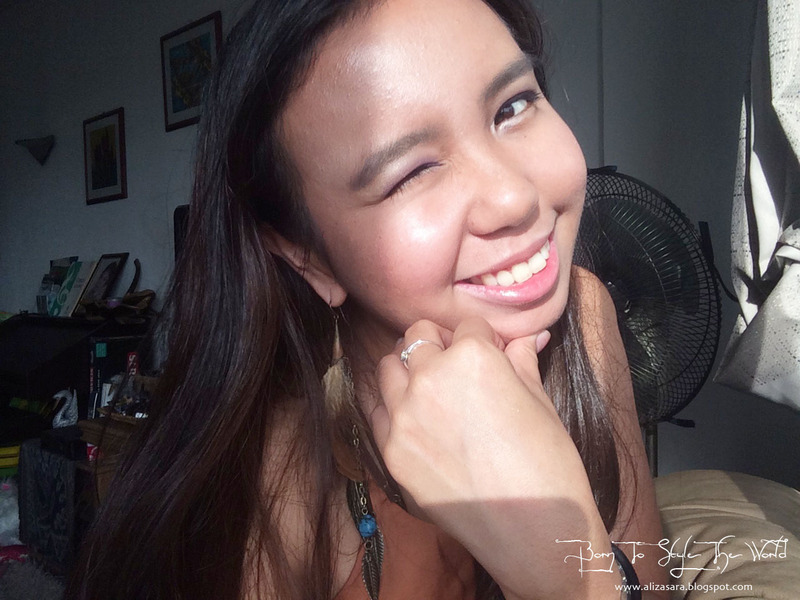 The Eye Illuminating Duo Pencil was used to draw out my eyebrows, and i love the Duo features on it where it has the creamy formula on one end, and the brush on the other. 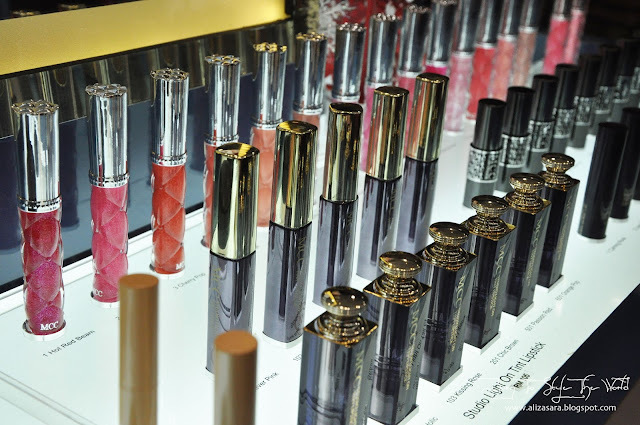 A girls look is never complete without the final touches of Lipstick. vince suggested that i go for an orange red shade in Tangelo which left a really interesting shade on my lips. 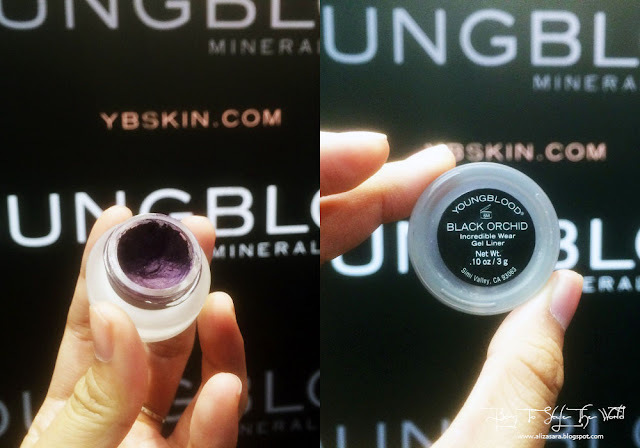 I love how pigmented it is, and the fact that it contains a blend of natural oils and vitamins. Ta-daa! Its such a shame if I don’t go for a fancy dinner with all the effort for this look. And can you believe that this look can be achieved within less than 30 minutes? Possibly its because my MOA was superb with his skills on getting this look on me. Thanks Vince! Check him out on instagram for other looks that he has created. Let it glow this Christmas! With Christmas and New Years just a few days away, why not chck out their exclusive Limited Edition holiday essential ‘Let it glow’. Comes in 2 choices of a Day or Night look set, filled with all time favorites in one box. Each set contains, an incredible wear gel liner ,Mineral primer, liquid mineral foundation, hi-def mineral perfecting powder, and mineral lengthening mascara. The sets contains the same products, except for the Incredible wear gel liner comes in retail size, where for the day set, you’ll get a Sienna shade, or Black Orchid from the night set. Each Holiday Essential set is worth RM191 (wm) and RM198 (em), when you purchase over RM380 on Youngblood products. 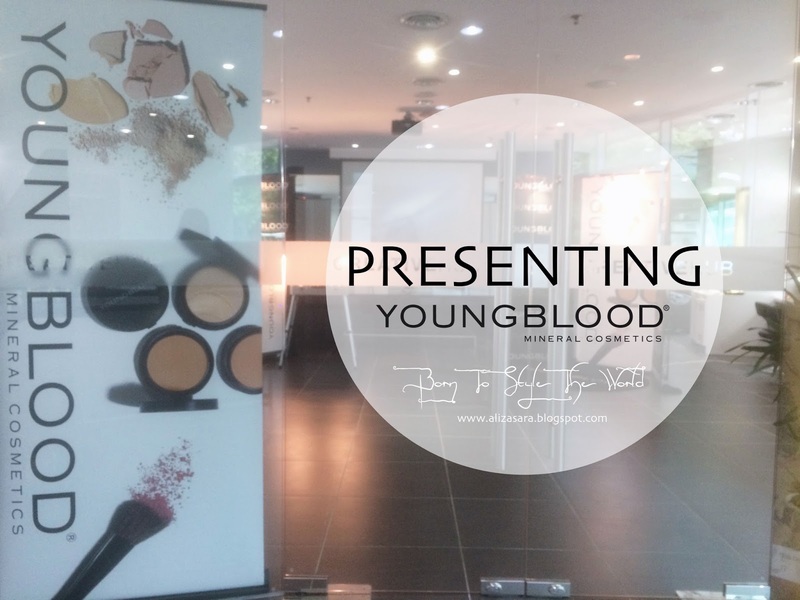 All Youngblood products are currently available at all AsterSpring and authorized Youngblood retailing outlets nationwide! 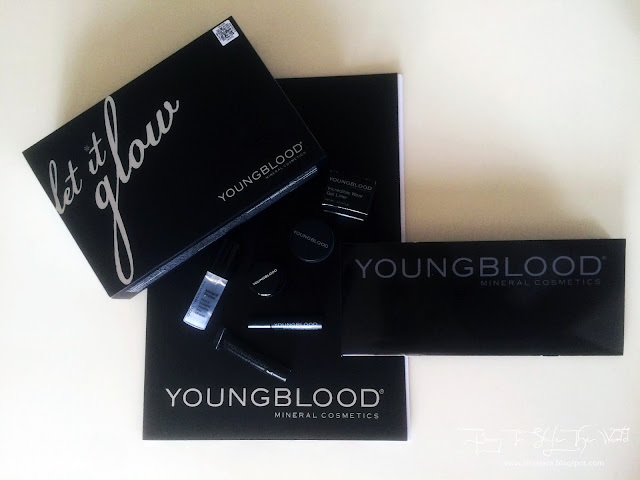 Or if you would want to know more information about Youngblood, be sure to visit www.ybskin.com. Be sure to keep an eye on this, cause I truly believe that this product has some serious potential! So, if you want to get a little hands on, be sure to visit AsterSpring and get a feel of what breathable skin feels like. I can assure you that you would be more amazed as me. Hehe. Sliq Clinic, located in Oasis Village. Sliq Clinic, was a new discovery to me. I admit that I usually go for beauty centres instead of clinics to get a facial done when my skin can be really angry! With high hopes on thinking that going for facials would solve my skin issues, I do always wonder why I still have uneven skin after all those facials. Sobs. I’ve never thought of going for clinic cause it sounds very clinical and serious. But today, I know that aesthetic clinics would be my first choice before going for beauty centres when I need to get a skin analysis. Read on to know why! Blogger's taking a photo with Dr. Steve. 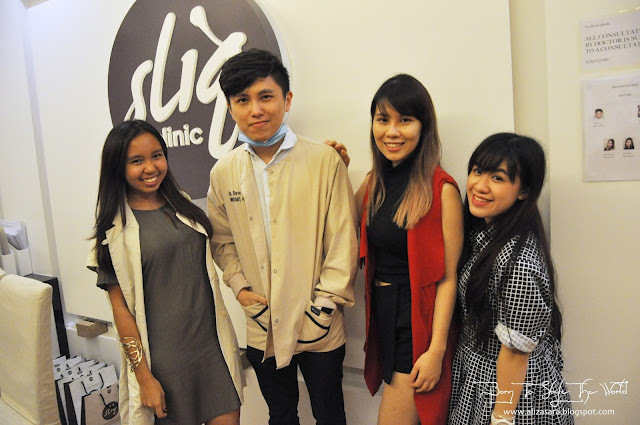 Sliq Clinic recently had a really cozy bloggers gathering where we had a small intimate session to discuss on the difference between beauty centres and aesthetic clinics. First up, let me just justify that aesthetic clinics does not mean that they do plastic surgery, but they are actually skin specialist. 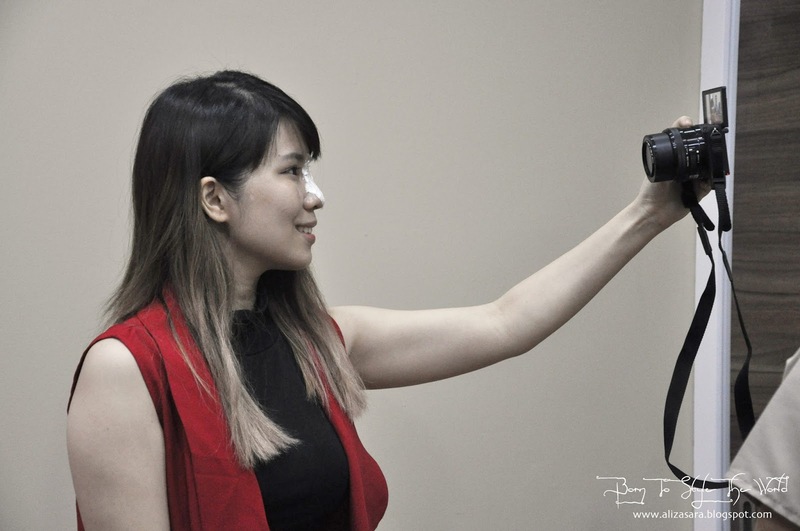 From getting a V jawline, a nose bridge and even a facial, they can get it done for you, provided with the latest equipment the industry can offer! 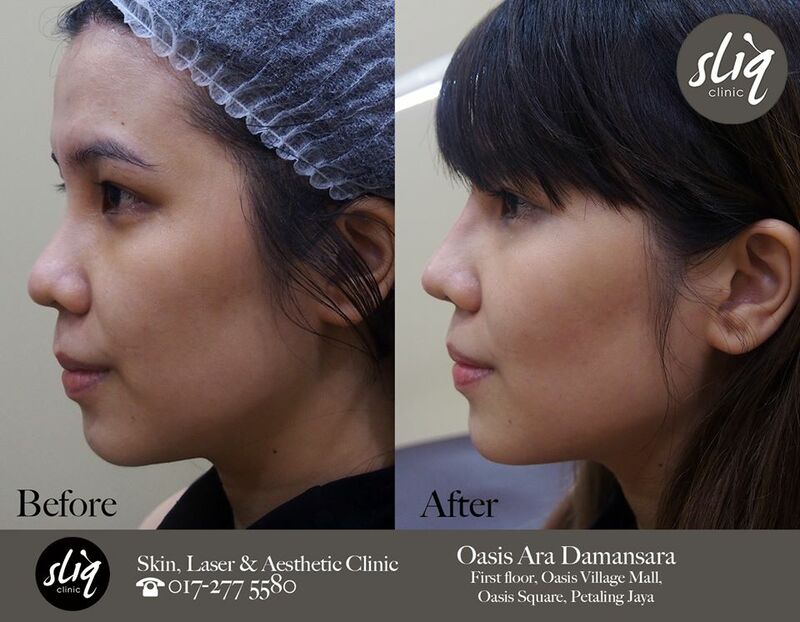 So in todays topic, we had 2 lovely blogger volunteers who would want to get a nose bridge to achieve a more defined nose. And I’ll be honest that this happens to be my first time witnessing a nose filler treatment. Dr Steve explaining the importance of knowing the difference between aesthetic clinics, and beauty centres. 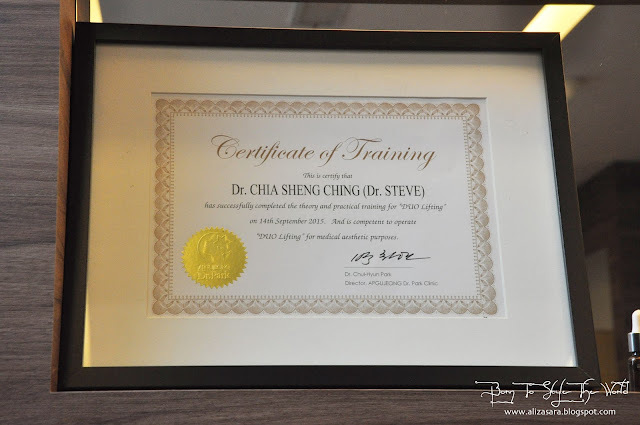 Before the procedure, Dr Steve Chia, who runs the clinic was nice enough to explain to us on how the procedure is to be done. 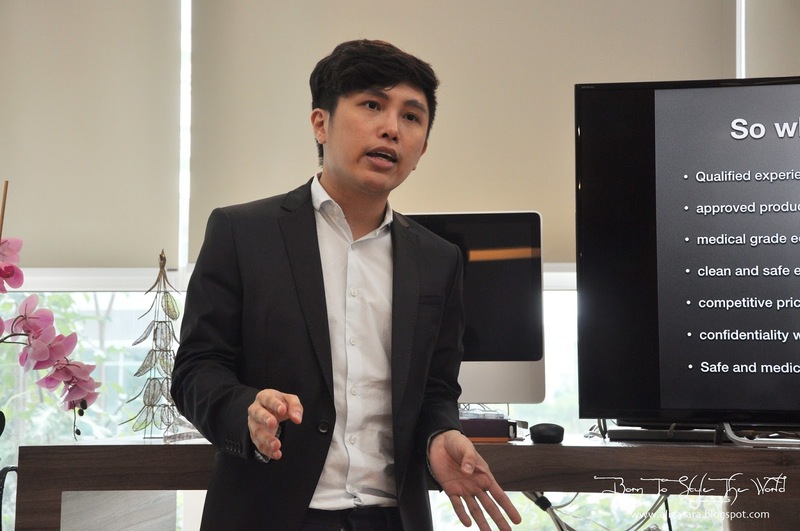 He also mentioned that Nose Bridge Enhancement can be done really fast, or even over lunch. First, he applied a white numbing cream to the nose line, before proceeding to the operation room. Operation room. Cozy aint it? Wiping the numbing cream off. All equipments used are very well sterilised and before starting the operation, Dr Steve clearly explained about the procedure. I think thats really important, cause as patients, we need to know what to expect after the operation right? You are also allowed to ask any other questions which could be bothering you, and he would be glad to give you answers. A blanket is given to get you comfortable. Making sure the skin is clean from germs. The operation started with Dr Steve making sure that the skin is clean, and he slowly injected fillers in the nose line. Nose fillers were not filled fully, but were filled in two separate injections. Which i think would be to control the amount of fillers to inject. 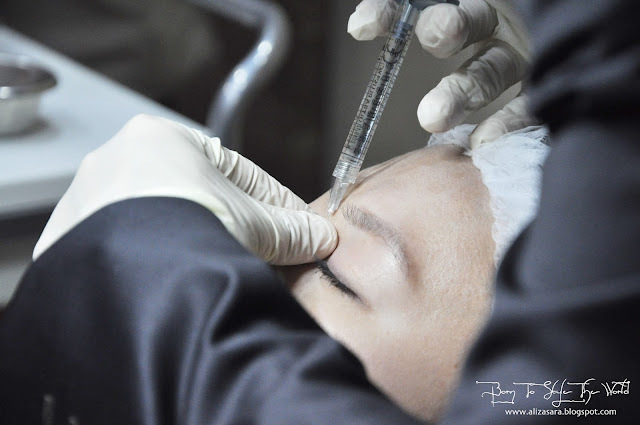 Once fillers are filled with just the right amount, he then shapes the fillers to suit to your features, leaving it looking natural. And thats about it! Nothing more than 30 minutes. Stress balls to bare the pain. 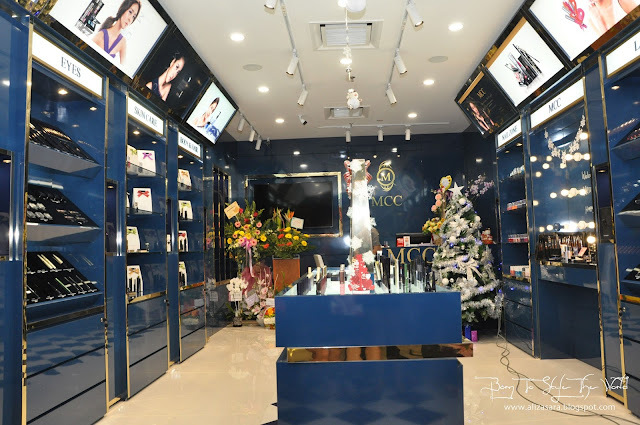 Aesthetic Clinics should be your main choice when you have serious skin issues because, they assure you that their medical doctors are qualified and experienced, products are approved by Ministry of Health, equipment’s are medical grade, they make sure the environment is clean and safe, your treatment is confidential with doctors, and procedures are usually proven to be safe. 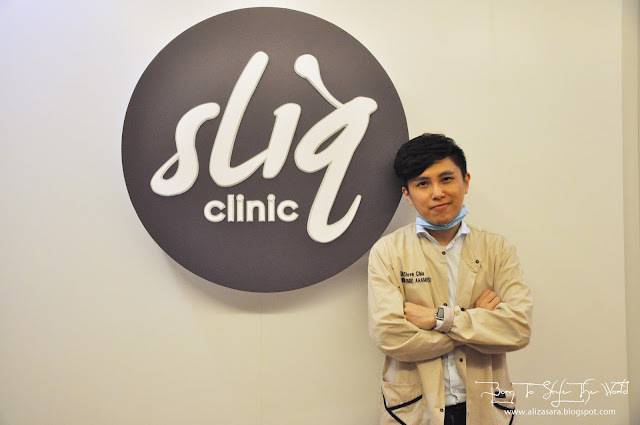 Sliq Clinic claims to be your neighbourhood lifestyle clinic, located in Oasis Ara Damansara, offering only the best medically proven treatments to fulfil aesthetic needs. So what are you waiting for? 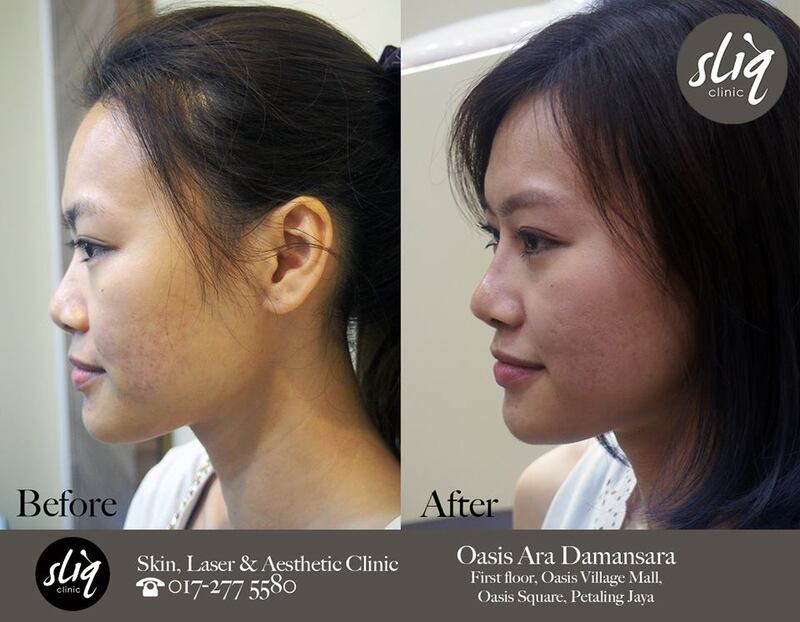 If you are looking for a laser phototheraphy, hair treatment, acne and acne scar treatment or B.T.A and Filler treatment, why not check out Sliq Clinic for a comfortable experience where consultants and doctors are always ready to achieve your aesthetic goals. Dr. Steve's certificate in training.